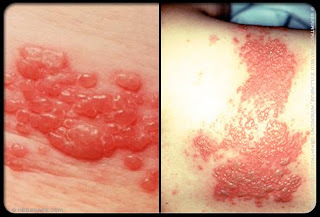 The Green Sanctuary: What is Shingles (Chinese called it Snake Disease) ? I had that disease, went for that exact treatment, and it worked for me. Don't make biased and unstudied remarks so easily, you'll only be at a loss! I'm experiencing it now, almost 2 weeks after fever and about 10 days with 1 blister and some small ones that cried up before turning to blisters.its not that painful but I feel so lethargic for 2 weeks.recovered from grogginess after few days where I could barely standup. The feelings of tiredness and lethargy is horrible. IF YOU STAY IN PENANG THERE IS ONE CHINESE MEDICAL SHOP WHO IS SPECIALISE IN TREATING THIS SNAKE SKIN DISEASE. MR.LEE IS THE 3RD GENERATIONS IN THE FAMILY WHO HAVE SPECIAL FAMILY OWN MEDICINE CAN CURE FOR SNAKE SKIN DISEASE. BURNING THE HEAD AND TAIL IS VERY IMPORTANT TO KILL THE SNAKE SKIN DISEASE FROM SPRADING. THERE ARE 2 TYPES OF SPECIAL LOTION TO APPLY ONE IS TO BURN AND FOR THE SKIN TO DRY. YOU CAN CONTACT MR.LEE AT KEDAI UBAT ENG CHYE NO.60-G-1, TAMAN SRI PERAK APARMENT, JALAN SLIM (OFF PERAK ROAD) 11600 PENANG. TEL : 6014-4405790 OR 604-42816013 BY APPOINTMENT ONLY HE CURE ME WITHIN 3 DAYS. I WAS IN SERIOUS CONDITIONS THE DISEASE HAVE GONE ROUND BUT AFTER TAKING HIS MEDICINE AND PANTANG FOR THE FOODS, BURNING, USING HIS 2 SPECIAL LOTION. I WAS HEAL. THANK YOU TO MR.LEE FOR HIS KINDNESS TO HEAL ME. Your advice is a great help. Will take note of that ! anyone know where got doctor can cure shingles in KL? I had the shingles and was treated by a chinese lady , she does this from home, she killed the eyes with needle, did had the pop sound too, I have cured since,but lately the point where the needle was pricked at the back, i am begining to have pain. can some one advice me how to stop the pain or it is post neuratic paint. Do i need to cosult chinese physician on this. Please help. Yes .. that was the usual manner, how a Chinese Sinseh would do it. Glad to hear that you are fine now. As for the pain .. there should be nothing alarming. As a consolation, you can always see the same sinseh again and he/she should be able to tell you the 'reason'. If you see others, they will possible give you a wrong answer. May I ask that during the treatment were you told to refrain from eating certain type of food like chicken and egg?